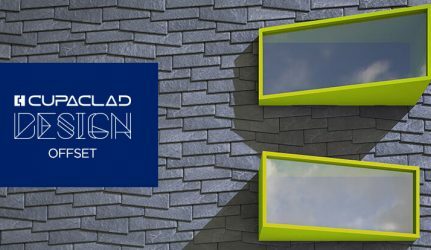 CUPACLAD Design opens a whole world of possibilities for the design of natural slate rainscreen cladding systems: new shapes, different combinations of materials … Find out a brand new proposal every month! 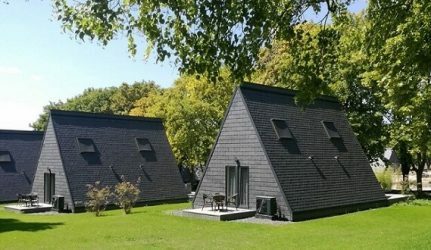 It is an innovative concept based on a complete series of infographics trying to turn contemporary architecture upside down. 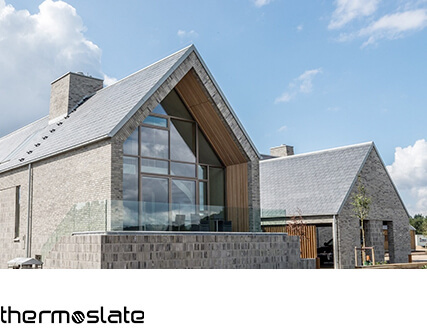 CUPACLAD Design reinvents the design of ventilated façades by proposing new shapes and combinations of natural slate. 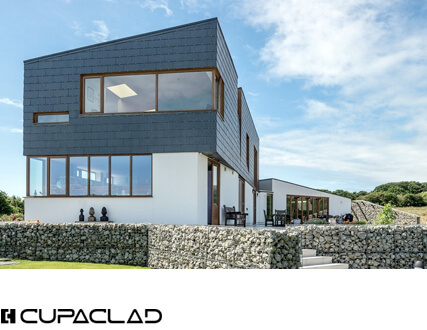 It is evidence that CUPACLAD® has become the cladding solution that best adapts to new architectural trends. 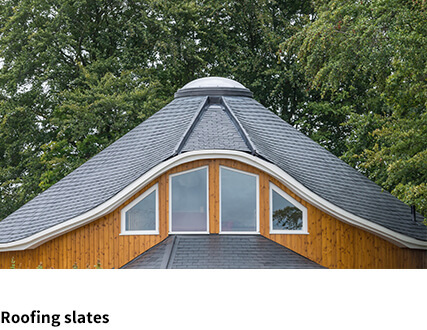 Each of the designs presented will show the countless possibilities of natural slate. But it is not just a conceptual design, all CUPACLAD Design proposals will be fully feasible. 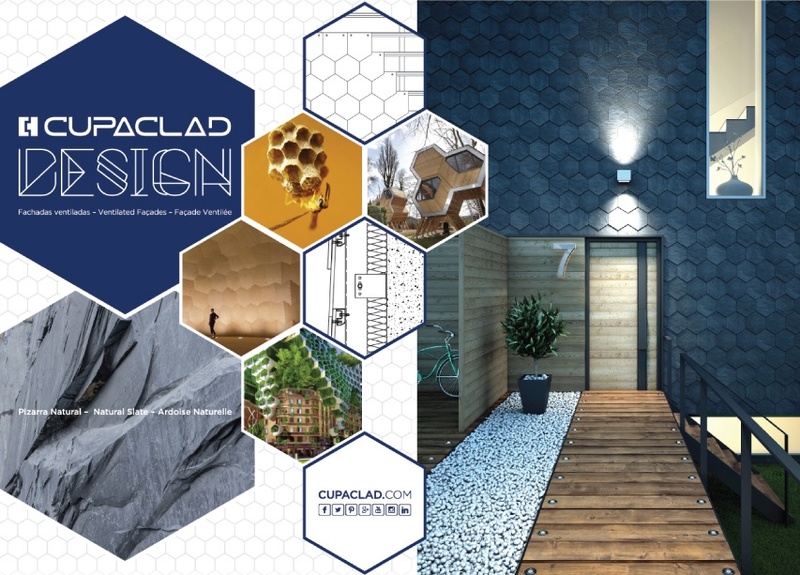 CUPACLAD Design emerges as a challenge to the most avant-garde architects: we want to motivate them to design the project of the future with such a noble material and durable as natural slate. 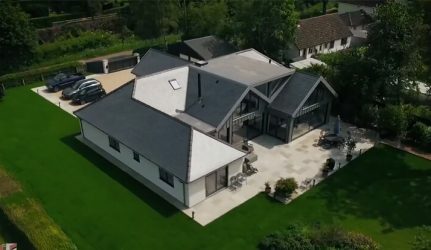 A reinvention of our rainscreen cladding systems that will not leave you indifferent. 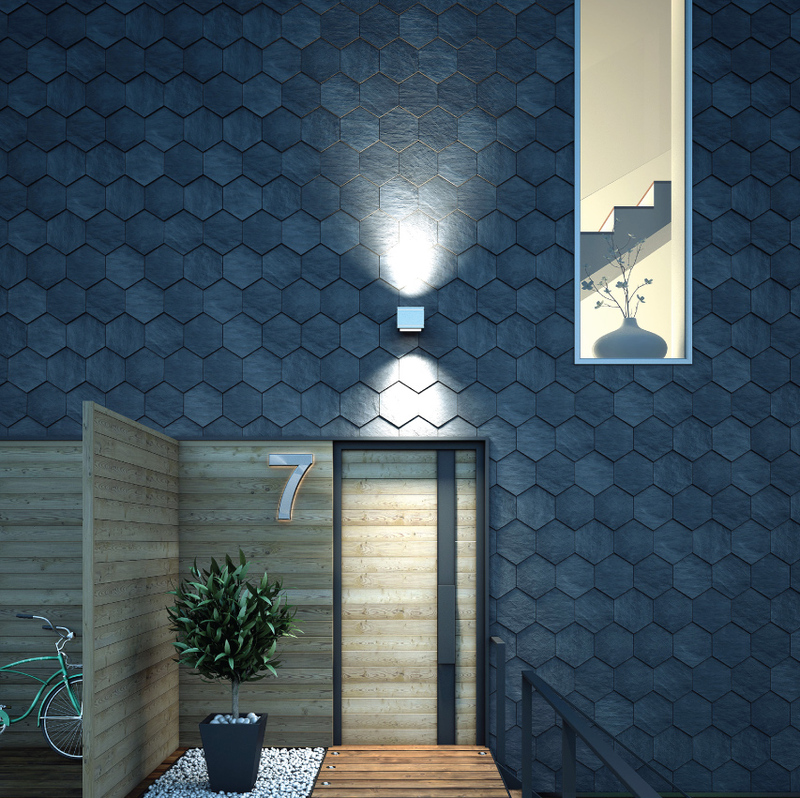 Hexagons are trendy! They have always been present in the nature around us: a turtle shell, a honeycomb… even snowflakes! 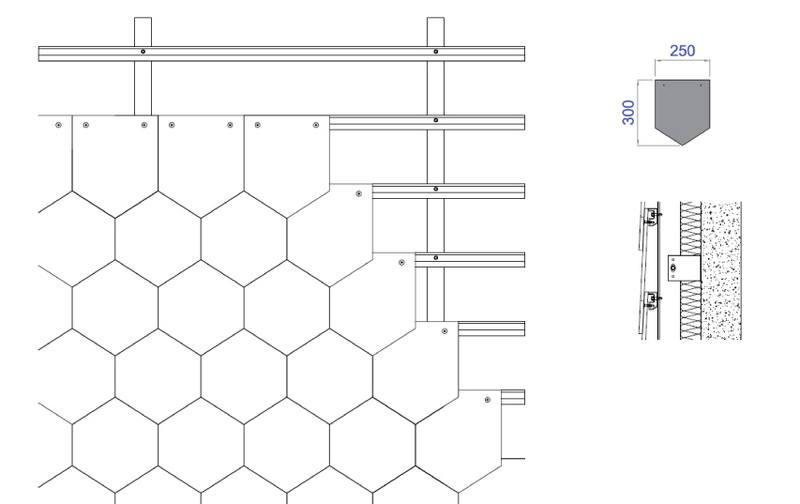 Hexagons have become a source of inspiration in contemporary architectural design. This first infographic proposes a play of shadows, shapes and materials. 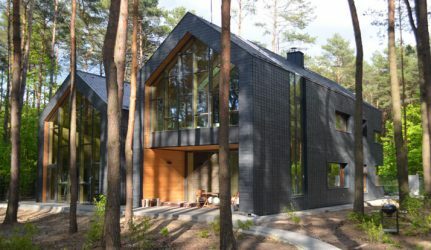 The perfect combination of elegance and nature for this contemporary dwelling. Take a look at this detailed drawing to have a better understanding of this system. 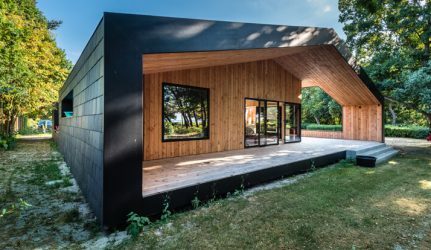 Are you an architect and would like to use this design for one of your projects? If you have any questions or need more specific technical details, do not hesitate to contact us. Our design team at CUPACLAD Design can help you with everything you may need. 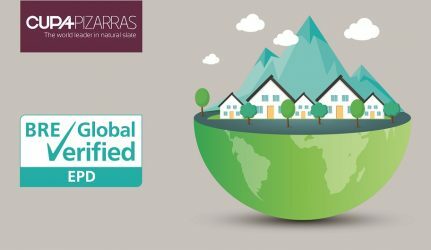 Send us an email to cupaclad@cupapizarras.com.